Fresh 100% pure wild Alaska ground chaga mushroom (Inonotus obliquus) collected from the pristine wilderness of Interior Alaska. Sustainably harvested and ground from dried chunks. Skip the grinding step for immediate use in tea, coffee, or tinctures. 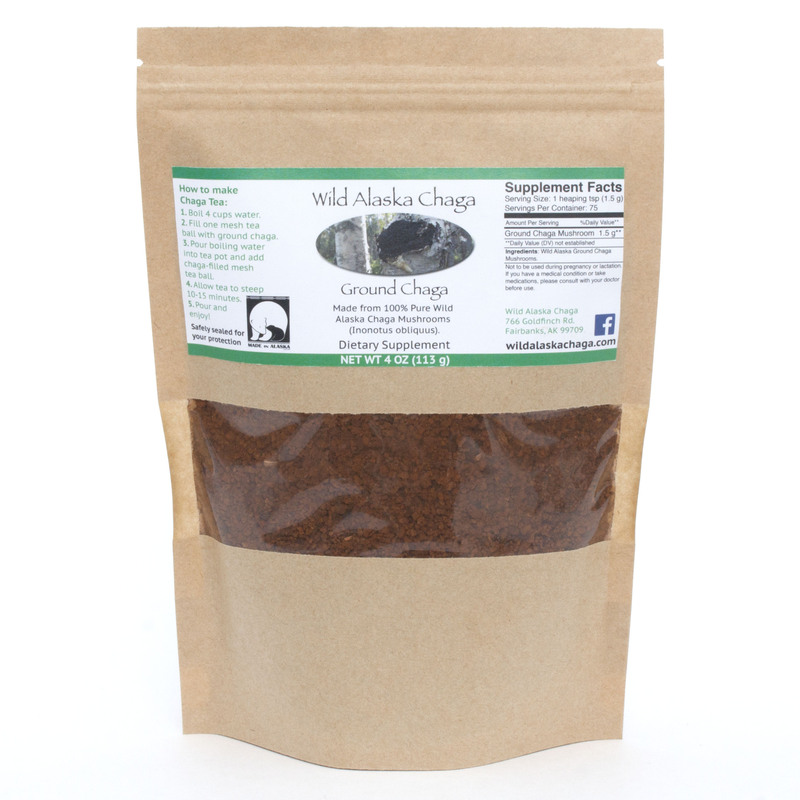 Our 4 oz ground chaga is safely sealed in a convenient resealable storage bag to maintain freshness. Our chaga tea recipe is printed on the label (pictured below), but for more information check out our instructional video: How to Make Chaga Tea. Remember that chaga tea is a mild, pleasant, non-caffeinated beverage. We enjoy it plain, but sugar or honey can be added to taste. Delivered quickly via USPS Priority Mail. Start feeling better and order your ground chaga today!